If you’re looking for a decent-sounding sound bar for the living room without breaking the bank, the just-unveiled Sonos Beam should be at the top of your shopping list. The S$699 sound bar is smaller than the company’s previous Playbase and Playbar, but more importantly, it is cheaper and under S$1,000 while still offering a big sound that punches above its weight. At a demo for Singapore media, the Sonos Beam certainly impressed. Despite its compact size, it seems to deliver quality that can surprise you. 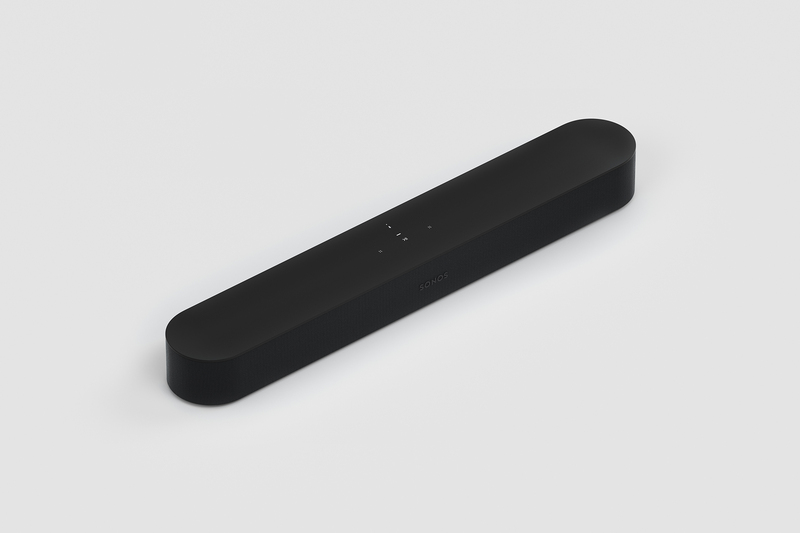 The small sound bar brings some of the slam you’d expect from the bigger speakers, so explosions and sound effects in movies sound like they are produced by larger speakers. There isn’t the distortion you’d hear from lesser speakers straining to produce the lows. Much of this has to do with design as well as tuning. Multiple speakers are crammed ino the slim casing, which is smaller than most sound bars, with many able to play back sounds that a dedicated subwoofer is expected to produce. The result, as we saw in the Playbase, is a smart use of the tight cabinet space as well as the separation of sounds that a movie or music track might demand. For listeners, this translates to a very decent presentation of a movie or song. The tuning is smart, too. Clearly, Sonos engineers have got voice in the forefront, especially for movies. For many small speakers, dialogue can get lost in the effects and other background noise but the Beam makes sure voices are heard loud and clear. There’s no fighting the physics, of course. In music tracks demo’d today, it is clear that sometimes you still get some of that congestion and lack of air that only a proper stereo setup with either bookshelves or floorstanders can offer. To be fair, tracks like an Adele track that focuses on her vocals will do decently, in producing an intimate feel. More complex tracks with multiple singers and instruments will show up the limitations. Then again, not everyone wants to or can squeeze separate speakers into ever smaller apartments in Singapore. 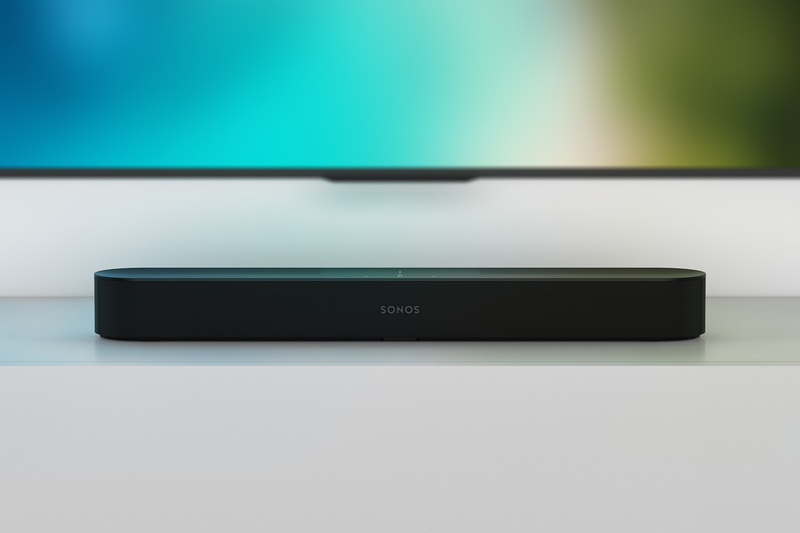 So, the Sonos Beam brings one great proposition – excellent sound for its size, prices and looks. And speaking of looks, that’s an important thing today. The front of the speaker is made of texture, not some generic metallic gauze. That reminds you of a regular speaker, which is a good thing. The Sonos Beam is also a “smart” speaker, so you can speak to it through Amazon Alexa or Apple Siri. Google Assistant is the works, though we don’t have the dates for that yet. This is helpful, say, if you want to play a track in the bedroom (through a separate Sonos multi-room unit). Just tell the Beam to play, say, a Justin Bieber track to get you to sleep. I’m joking about Bieber but you see how voice control is useful. Since the Beam is also connected to your TV, via an HDMI cable typically, you can tell it to shut down the TV as well. I’m personally not a fan of voice-activated controls at home. I can live with a remote controller for less risk of privacy loss, but for many users, personal assistants are a big thing. So, if you are looking to buy a smart speaker, Sonos wants you to consider the Beam. It’s surely better than many others in the market today in terms of sound quality. When it comes to looks, it is pretty too. And if you want to splurge in future, you can add a subwoofer and small rear speakers for a more realistic surround effect. Go wireless to cut the clutter as well. I used to think Bose was great at this marketing game, but Sonos is catching up fast with folks who don’t like the wires and separate components of hi-fi that can be daunting. Perhaps the only issue I have with the Sonos Beam is its price. Okay, even for S$699, it’s pretty competitive for the quality you get. Yet seeing that it was released in the United States for US$399 (S$531), I think the local price should be closer to S$599. Having said that, I’d advise you to go listen to the Beam at Harvey Norman stores now before it goes on sale in Singapore on July 17. It’s surely one of the better sound bars if you’ve given up on stereo at home. My recently bought Sonos Beam has been a great movie marathon partner. The sound quality is loud and rich. In addition, the beam’s design is really appealing! Great to hear Bryan. Yes, the Sonos Beam and Playbase are impressive for their size.